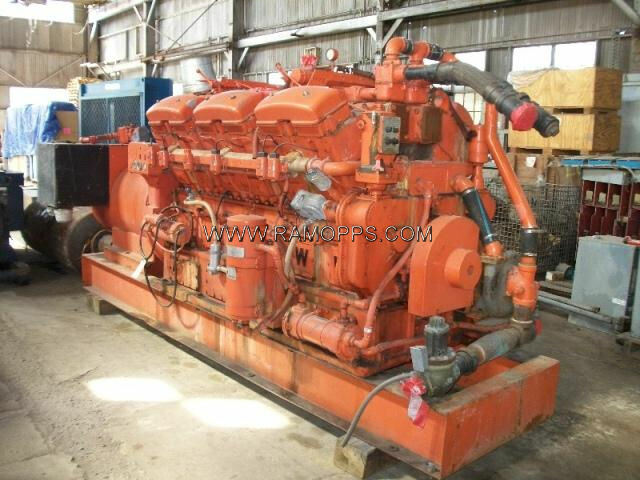 4.3 MW Generators, Enterprise Gen Set, Dual Fuel, Diesel, Natural Gas, 360 RPM, 4160 Volts. 2.5MW Generators, V 16 Ruston Egines, directly coupled to a Baylor AC Generator, 4160 V, 900 RPM, 2500KW, 3125 KVA, 0.8 PF, 434 Amps. 400 KW Generator, Waukesha, Natural Gas Generator, 480 Volts, 1200 RPM. View more about RAM Opportunities LLC on SupplyMine.